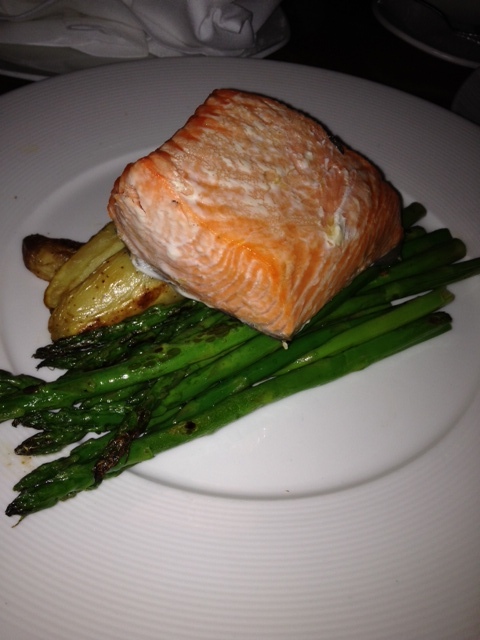 My wife and I recently vacationed for a few days in Seattle, a city that’s synonymous with salmon which thankfully is allowed on my low-fat, low-sodium post-angioplasty diet because the nutrition thinking these days is that it has so-called good fat. Fine with me, until that view changes, I’m eating salmon often. Seattle is a wonderful place to eat fresh salmon. I had it four days straight, including this wonderful offering at Ray’s Boathouse. Place Market, at more upscale restaurants where the locals go (we have a friend there who took us out for dinner), even at a baseball game! I’ll be posting about my salmon adventures, and about some food finds in Portland, Ore. where we also visited, over the next few days. Enjoy!